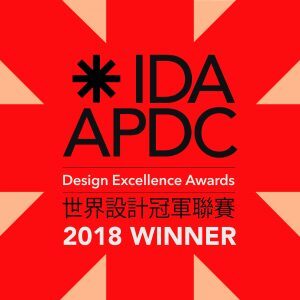 Weston, FL – Landscape Design Workshop has won a 2018 APDC*IDA Design Excellence Award in the category of Landscape Architecture / Commercial for their project Botaniko. 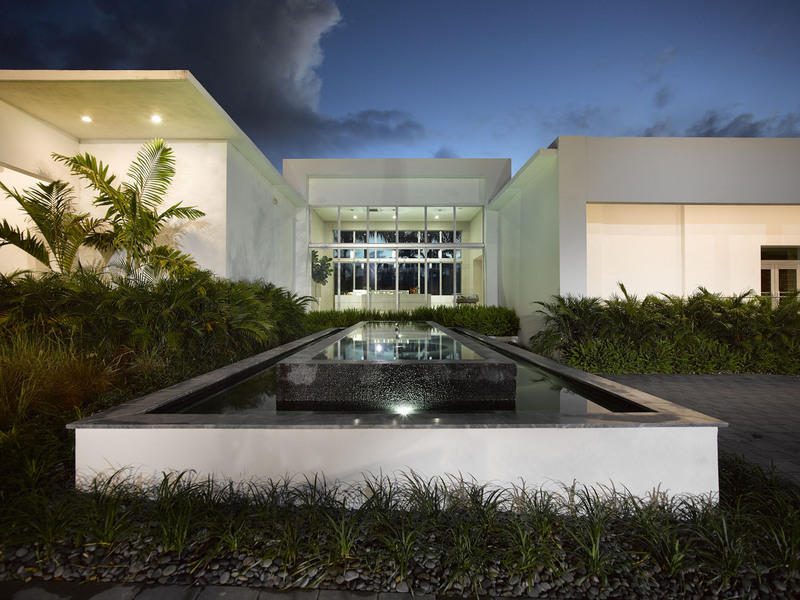 This real estate sales gallery serves a newly developed 120-acre residential community with 125 custom homes located in the city of Weston, Florida. The sales gallery is composed of two main volumes connected by a ‘glass box’. The first volume is the reception area whereas the second space contains a model unit and sample materials. 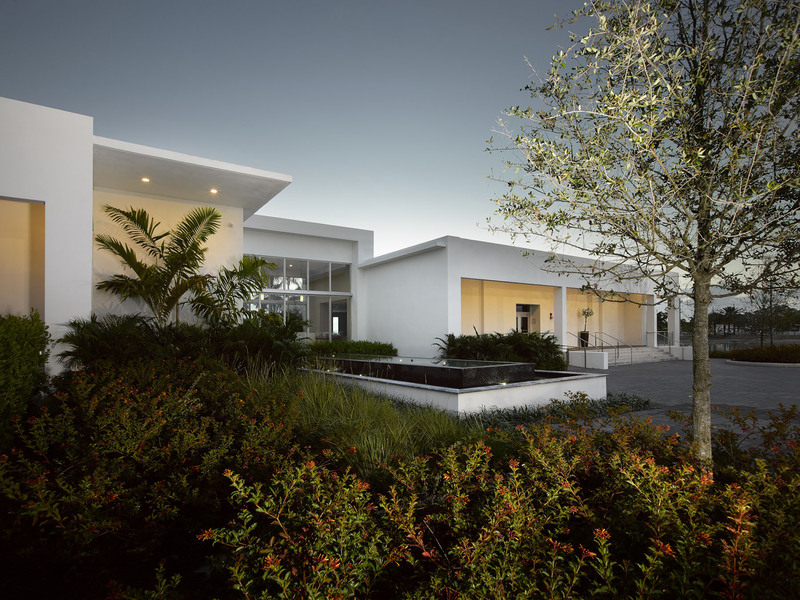 The outdoor spaces relate to the indoor spaces, with the vehicular arrival court relating to the reception area and the sculpture court relating to the model unit. The sculpture court relates both to the outdoor arrival space and to the interior model unit space. 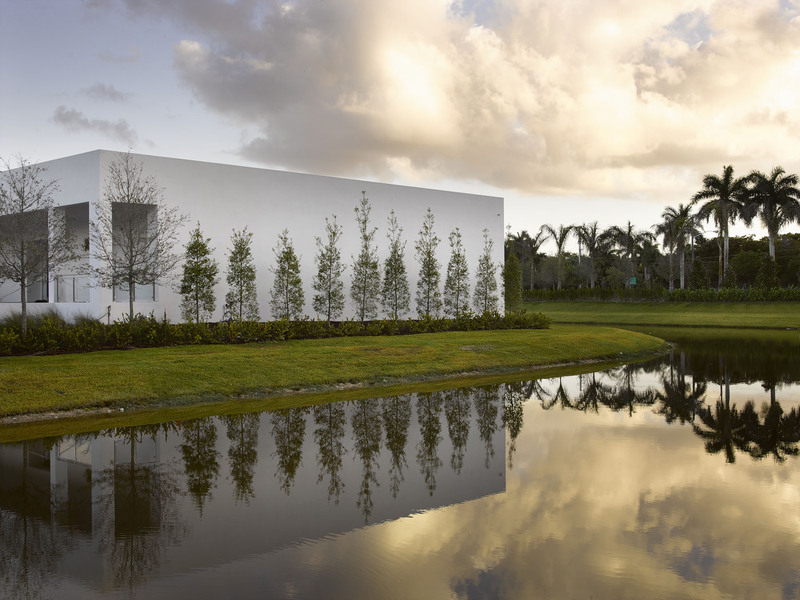 The landscape architect designed the sculpture court so it can be experienced from a moving car as well as from within. 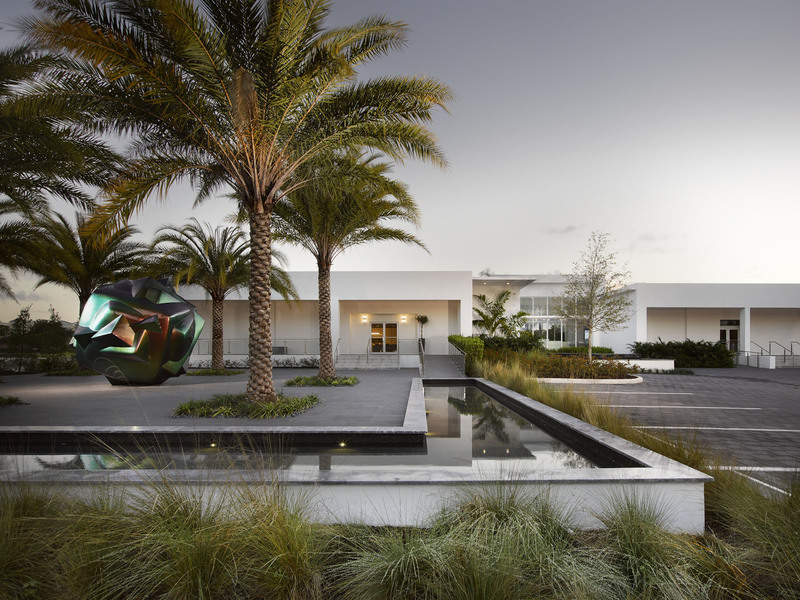 A visitor driving into the arrival court experiences the dynamic views of the sculpture surrounded by a reflecting water feature and a formal grove of Wild Date Palms. 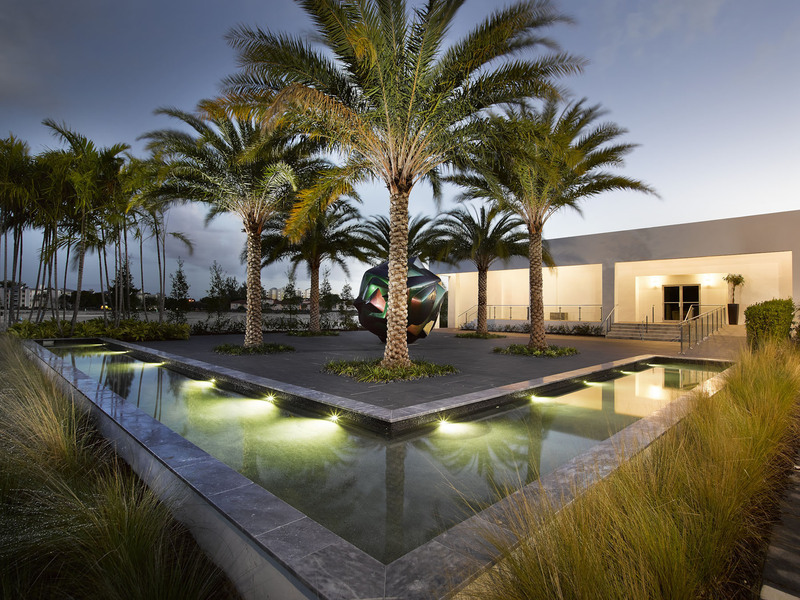 Once in the courtyard, the visitor experiences the different layers of water and planting with the artwork anchoring the space.